The most compact and lightest folding lock pick set you will find anywhere. 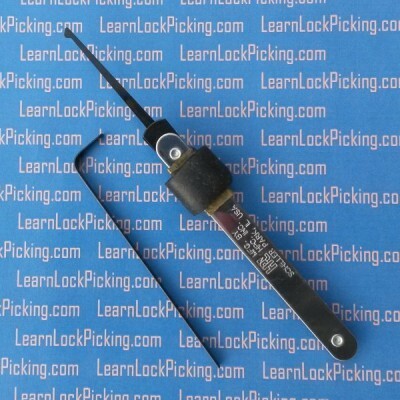 Lock pick set includes 2 rake picks, one hook pick, and one half diamond pick plus a tension wrench. SKU: jackknifePicks. Category: Lock Picks. Brands: HPC. The most compact folding lock pick set you will find anywhere. Professional quality tool in an easy-to-carry-anywhere design. Lock pick set includes 2 rake picks, one hook pick, and one half diamond pick plus a tension wrench. Lock picks are protected from damage when folded into the stainless steel handle. 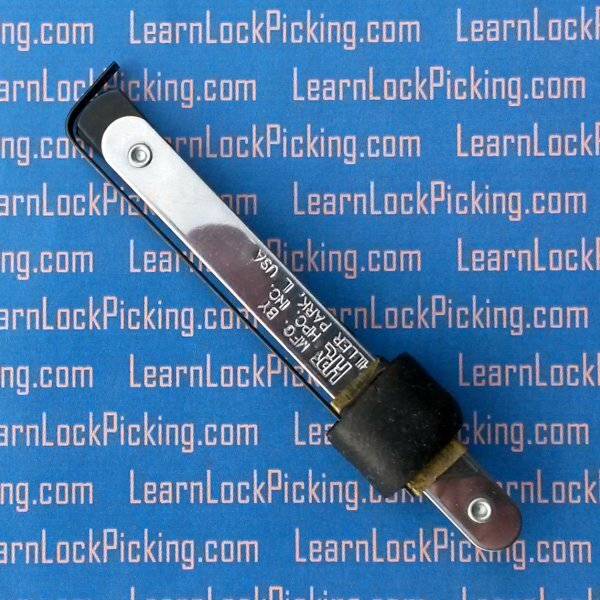 When extended, the picks are locked into the extended position by the sliding brass collar. This compact, light weight design makes this your perfect EDC (Every Day Carry) folding lock pick set. Tucked into your pocket, purse, or bug out bag, this lock pick set opens a world of possibilities without adding bulk or weight to your daily life. 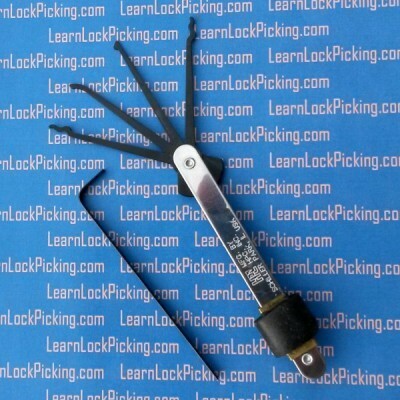 Foldding lock pick set includes 4 Spring steel picks in a stainless handle with one tension wrench. Smallest and lightest folding lock pick set available.